How can you possibly persevere when a thick layer of fog covers your future? 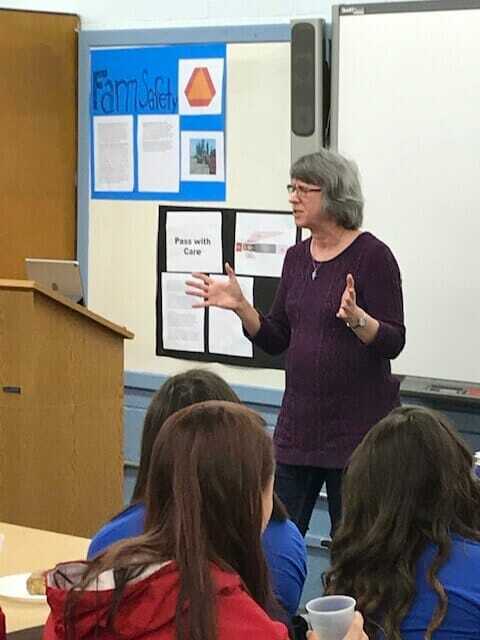 Recently, I spoke to thirty-seven high school students at a Fellowship of Christian Athletes (FCA) meeting about the What I Saw Today message. I told them how I was seeing wonderful things for the first time in my life and how simple, everyday things like dirt, stars in the sky, and flowerpots on front porches were exciting and fascinating. It was a question all of us have probably asked at one time or another regarding our own life struggles. As prayer requests face a fog of silence, we cave to the temptation to wonder: Is God listening? Does He care? 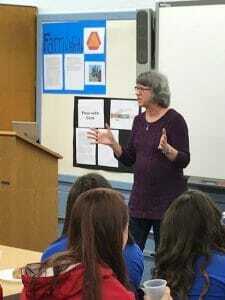 My main answer to the students was how low vision has made me a better, stronger person. It has helped me cultivate creativity, compassion, and courage. Yet I left the high school disquieted. You can’t say everything you want to in twenty minutes. And I thought of those young people who bear wounds from school bullies, guard the secrets of a sucky home life, and have already made mistakes that tote the price tag of life-long consequences. He knows everything about you. He knows your heartache, hears every unkind word people speak to you, and sees your struggle. Not like a Disney Dad who is out of synch with your weekday life, He is aware of everything you face, and understands far better than you do what is happening to you. If you ever feel like saying, “You don’t know anything about my life” or “No one understands,” you got that wrong. God knows what is happening inside your head, how you feel, and what you’ve done. 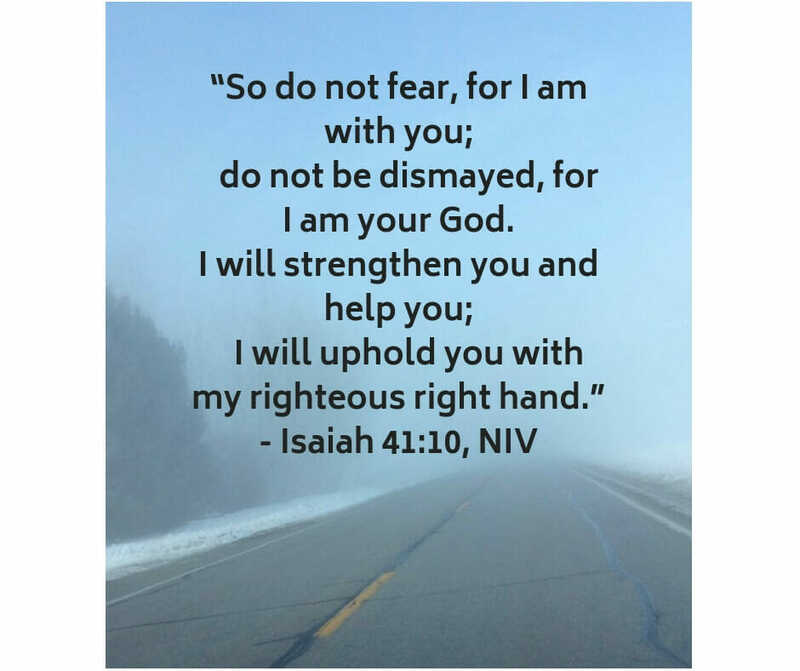 Moreover, He knows far better what has happened to you, for He sees everything – the forces outside your sphere and the bigger picture of the forces that threaten to bring you down. He is not indifferent to your circumstances. He cares very deeply. His heart breaks over your suffering. He never intended life to be this way, but because of this thing called free-will, His permissive will must allow us to chart our own course. In order to be God, He must let you make your own choices and let others make choices that might hurt you. That doesn’t mean He doesn’t care. He shows His concern by providing the best possible solution through His Son and by His grace, make redemptive use out of your life circumstances. 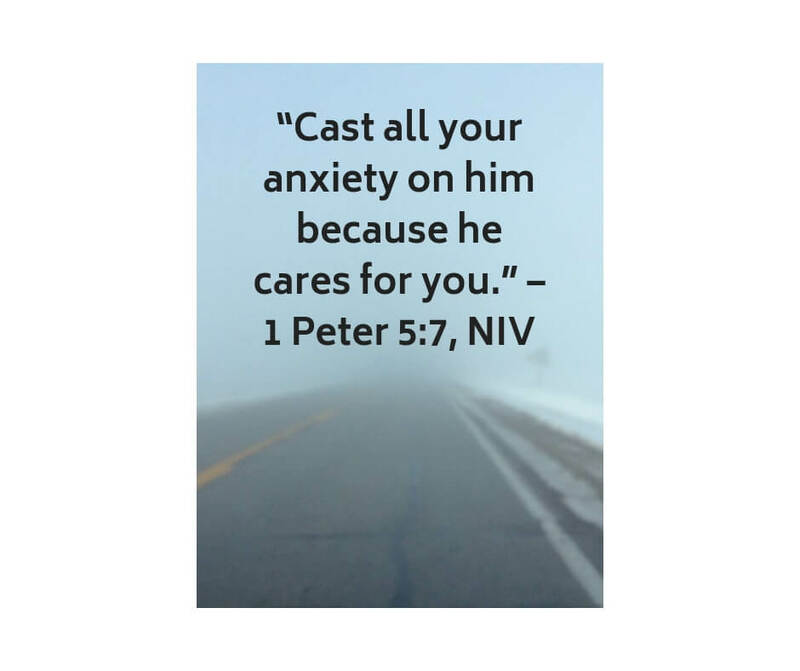 He cares about your future too, and the person you will become. Because of what you face. He longs to take your hand and guide you through the labyrinth of life. He can do that, but your part is to grab on to Him and let Him lead you. Since He wants the very best for you, He is willing to provide solutions to your struggles even if it means you must wait for His best. Even now, God is preparing you to receive His best answer. His solutions often look better on a calendar than a clock. In other words, His work will evolve slowly, often involving years instead of minutes. Did you know that an orange tree planted from seed will take 15 years before it starts to produce oranges? Even a tree grafted from rootstock might take up to three years before you see any fruit. God, in His infinite wisdom waits until you are ready for the answer. That’s the message I tried to convey to that group of students. If I had received better vision as a child, I wouldn’t have been able to appreciate the gift as much. I wouldn’t have developed the coping mechanisms I’ve learned or had the chance to learn to depend on God for everything. Most of all, I wouldn’t have stories to tell about my crazier escapades or had the audience of Facebook to splash God’s glory over the Internet of how I see Him working in my life. While you wait and while He works. God will meet you in the moment. After all, the sucky parts of life are always easier when someone walks the journey with us. The unknown is so scary. Like Job, we want to know why and how long. We want a description of what the answer will look like. It’s good to remember that God is not obligated to explain His inner workings to us. 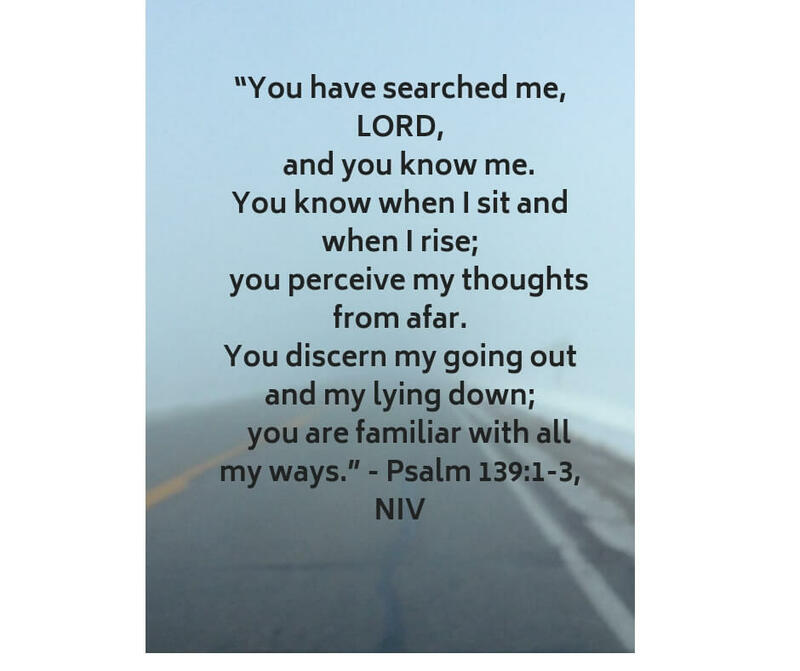 His ways are not our ways; He is God and we are not. The choices of when to reveal what is His prerogative. Our task is to believe that He has our best interests in mind and He will bring that best to culmination at the right moment. Then, like giving me renewed eyesight at the age of 55, it will be bigger and better than we ever imagined possible. God knows and cares. While you may feel lost in the fog of the future, God sees beyond your circumstances. 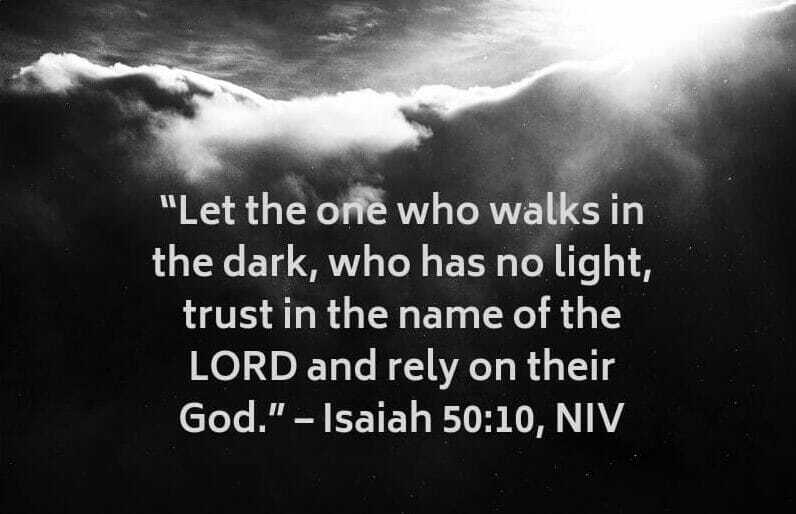 He wants you to grab hold of His Hand, trust Him, and let Him guide you into His glorious light. How is God teaching you to persevere? 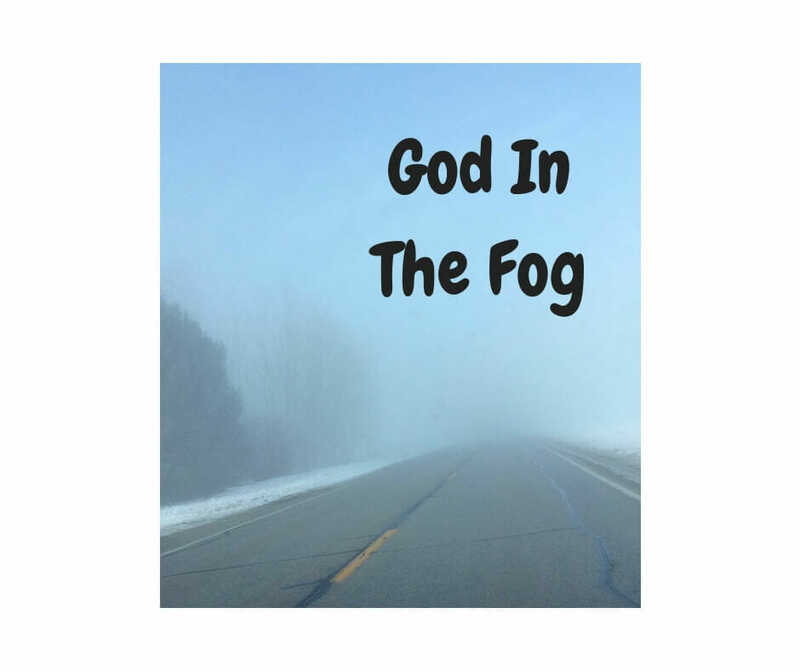 How has He shown you He is with you through the fog of the unknown? Karen Wingate loves to tell audiences about her experiences with new eyesight. For more information about her speaking and writing ministry, click here.